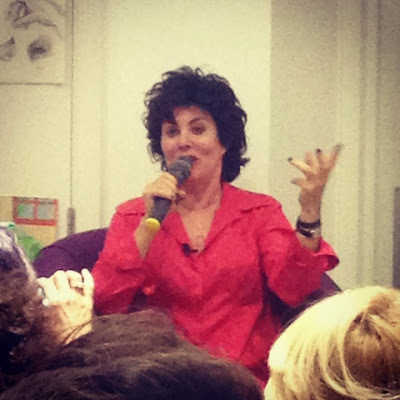 Following on from my previous post on Asda and the other one on Stopping the Stigma, I caught up with the brilliant Ruby Wax last night at the Second Half Centre in West London. 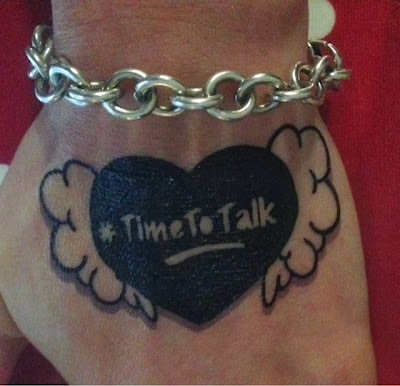 I received my brilliant tattoos (don't worry - its temporary) from Time to Change a couple of weeks ago and last night was the perfect time to put it on. I didn't do what Ruby did and put it on my chest, but it is boldly on the back of my hand. Huge thanks to Lady Jill Shaw-Ruddock for hosting such a great evening. I have previously blogged about how powerful Twitter is and I recently hit the 700 follower mark - I enjoyed "meeting" two people on Twitter yesterday afternoon who I then got to meet in person last night.